such fundamental importance that it will be worth while to impress it upon the mind by a few experimental illustrations. 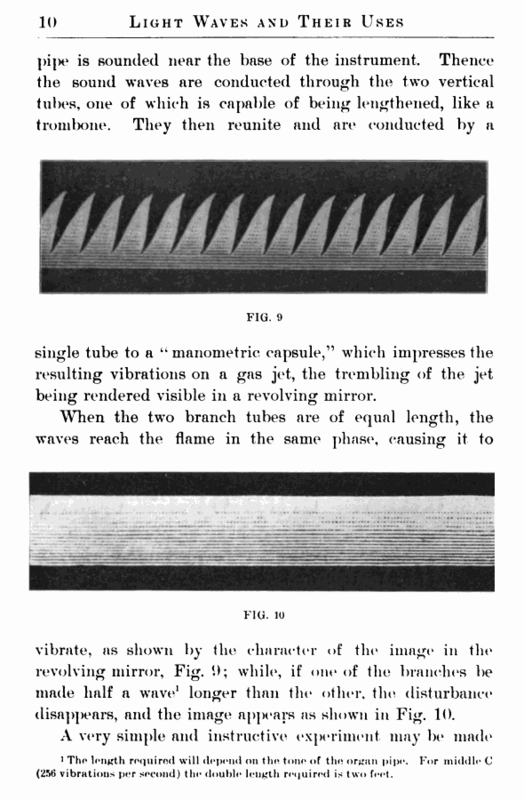 single tube to a “ manometric capsule,” which impresses the resulting vibrations on a gas jet, the trembling of the jet being rendered visible in a revolving mirror. 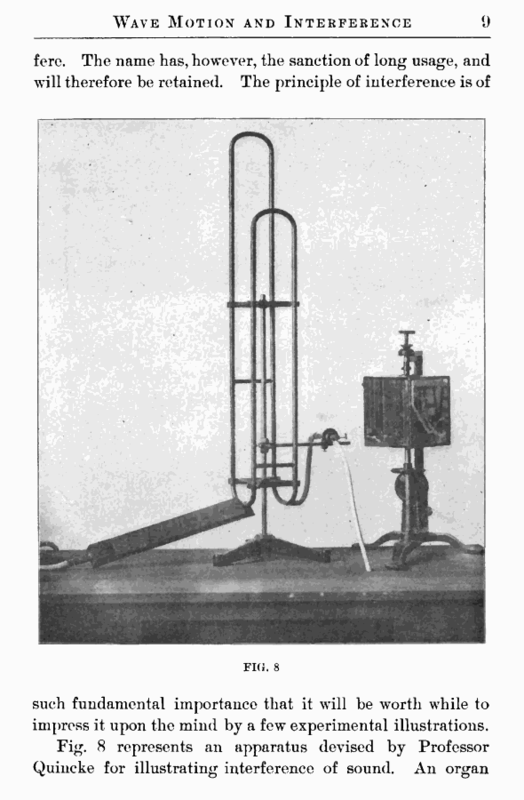 vibrate, as shown by the character of the image in the revolving mirror, Fig. while, if one of the branches be made half a wave1 longer than the* other, the disturbance disappears, and the image appears as shown in Fig. 10. 1 The length required will depend on the tone of the organ pipe. For middle C (256 vibrations per second) the double length required is two feet.